50 years ago, we use to receive information about any product via radio, newspaper, television & through word of mouth. But, nowadays everything is changed. If we want to buy any product, we just google it and see the reviews given by different users. Being a marketer, the moment of purchase and pre-ordering is valuable for selling more products in the market. 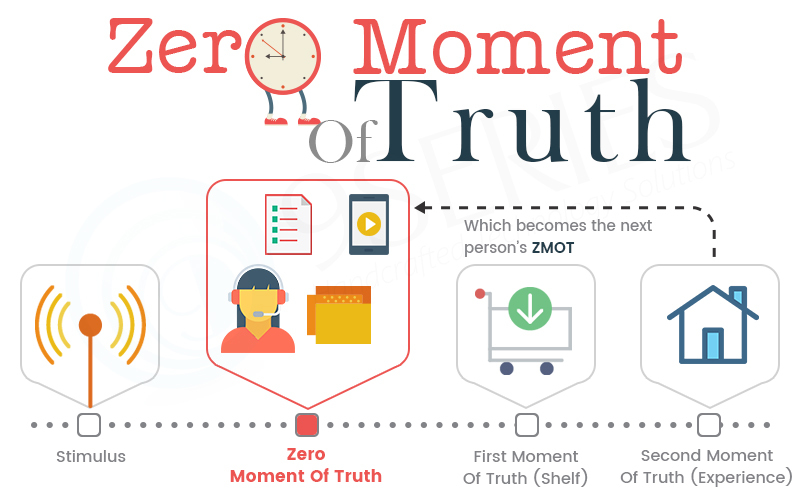 The Zero Moment of Truth (ZMOT) refers to the buying cycle when the consumer researches a product, often before the seller even knows that they exist. The number of customers investigating a product online prior to purchases has been on the rise in recent years as the internet and mobile keep on advancing. The First Moment of Truth (FMOT) was introduced by the Procter & Gambler (P&G) in 2005. For FMOT, customer experiences products from a store or else we can say that a customer confirms and trust to purchase the product in a store and use it. This micro-moment helps different brands to run high with best changes in the market. If you are having a question that why supermarket moves everything around, you will now realize that it relies on impulse or unplanned purchases. In the Second moment of Truth (SMOT), Customer buys the product and experiences it. This is where your product or service has to fulfill the promises made by your marketers. If the product is not meeting promises of SMOT, no one will purchase products. Consumers’ feedback or opinion towards a brand, product or service i.e. consumer becomes a brand advocate and gives back via word of mouth or social media publishing. If the product is offering more or not we must go from awareness/analysis through the sale, and ideally, to the post-sale recommendation. This is where you can convert a customer into a fan. Zero Moment of Truth (ZMOT) was introduced by Google in 2011, The study discovered that the customer’s journey changes at every moment from field marketing to online marketing. Assume, I want to purchase something, what would I do? I’d go to the web, search the product and check the reviews of those products. With that fact, I’ll have accurate feedback in terms of what to buy? where to buy? More than 50% of shoppers use a search engine to investigate a product or brand online. 38% comparison purchased online (referring reviews, prices and so on). 35% check out the brand/manufacturer’s website. 29% read online endorsements, reviews or suggestions. A subsequent study in 2014 showed that users are using their smartphone to research products and there are even more touch points on the way to a purchase. Today, we are using our smartphones to research best brands, prices, reviews. The ZMOT can occur on search engines and social networks, as well the net outcome is a more confident and well-informed purchase decision. The conclusion here is that users now do research, analyze brands, read reviews, talk to friends, view videos, interact on social sites (from Facebook to TripAdvisor), read news and furthermore visit brands’ websites to make decisions — and the majority of this is done at the Zero Moment of Truth. With this fact the demand of eCommerce world has been drastically increased. Vendors are more of moving towards getting their online web presence ready in the form of website, iOS application, android application and many other along with promoting that to different segment of users. With that, we @9series are receiving lot of inquiries in terms of building eCommerce website, e-ordering mobile applications and promoting that to have more and more users with the help of SEO / SEM and Social Media Marketing. Overall demand of this says that, 71% of solution demand have been increased over the period of past few years and that’s the real change of world and effect of ZMOT. What is Inbound Marketing? Inbound Marketing is an approach focused on luring qualified prospects that build trust and reliability for your business through content and interactions. It includes methods like Social Media, Blogging, SEO, Social Publishing etc. What is Outbound Marketing? Outbound Marketing is the popular method of marketing where marketer initiates conversation and sends a message out to the audience. It includes methods like Tradeshows, TV Commercials, Print Advertisements, Email Blasts, Cold Calling etc. What expert says? 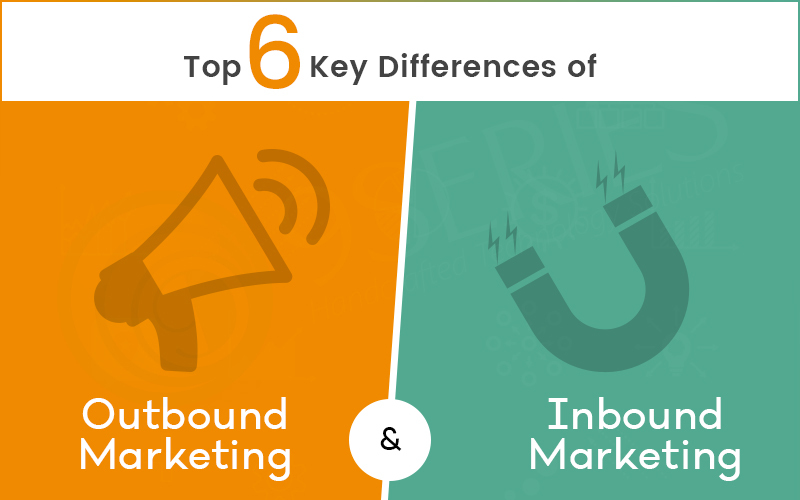 As per the survey, 90% companies and businesses found that Inbound Marketing is more effective than Outbound Marketing in today’s world. In Outbound Marketing many people who are not in their target audience are also exposed to their message, which makes the cost of advertising on these mediums less effective. While Inbound Marketing is cost effective, easy to implement and also shows the creativity of marketer. Here are the 6 key reasons that Inbound Marketing is the best investment for small businesses who are looking for an adequate marketing scheme for customer acquisition. Inbound marketing is less expensive and anyone with the right skills can do it. Outbound marketing is a very expensive endeavor. Conclusion At last, as per the discussion with many marketers, Inbound marketing is more effective to attract more customers. Keep your website and ranking up via content marketing, blogs and most engaging Creative Corner. Customer will find you, you don’t need to find customers. Inbound Marketing is better to focus than Outbound Marketing. Howdy folks, early greetings of the new year to all my readers. 2016 had been a significant year related to SEO and altogether google commence with a big bang of 2 algorithm update which changed the layout of SERP’s. The project Accelerated Mobile initiated experiments with a mobile-first index. SEO or Online Marketing showcases quick advancement, we shouldn't dawdle to be ahead of the curve on being left alone by both search engines and your competitors. Herewith look at the latest 5 SEO trends impacting on panorama of SEO which will be helpful to streamline your site optimization in the new year 2017. 1. Conversational and Voice Search 2. Accelerated Mobile Pages 3. Google Answer Box Optimization 4. Optimizing for Search Intent 5. Mobile App Indexing/Deep Linking Conversational and Voice Search : Talk to Google As per the insights of google, nearly about 55% of Teens and 41% of adults are using voice search on their routines. Voice search and digital assistants (Siri, Cortana, Google Assistant, etc.) is taking over. Voice search is getting more viable while word recognition error rate dropped from more than 20% two years back to 8% today. What's more, its prominence is growing at a practically remarkable rate: from a "factual zero" to 10% of all searches in 2015, and 20% of pursuits made with an Android device in the US this year. If you are thinking to overlook the Voice Search Impact for 2017 then let's make a top priority to start exploring on how do you optimize your site and content for something like this. Focus keyword research on conversational queries with the help of tools like Ubersuggest, KeywordTool.io, Answer the audience or even plain old Google Autocomplete provides insight into the way people use your keywords in voice search. "who", “what”, “when”, “where” or “why” are mainly used by voice searchers. We can start building pages of questions that begin with these adverbs and answer them using conversational language.Surplus tip for it make the FAQ’s. Use schema markup to help search engines which provides semantic meaning behind your page content. An important part of helping search engines understand your content is helping them crawl your site more efficiently.Make sure the answers to questions are findable. Use the Sitemaps test tool and robots.txt Tester to validate your sitemap and robots.txt file. Google's Accelerated Mobile Pages The Accelerated Mobile Pages initiates to boost page speed and usability to provide a user experience optimized for mobile devices. Make a quick note AMP isn’t a ranking signal, so using this it won’t make you outrank a page that has better content and/or links while it will be helpful for you in major aspects of mobile friendliness. The growth of smartphones and mobile has also intensified the idea of the "micro-moment." Micro-moments are the times at which someone turns to a device, often a phone or tablet but not necessarily, looking to fulfill an immediate need directly on the landing page. Mobile SEO has been important since mobile search surpassed desktop last year, but moving forward to this, it’s going to become mandatory. Plus, as Google further experiments with its mobile-first index, the mobile versions of your pages are going to become increasingly more important than the desktop version. Using AMP, it lets you maintain consistent content and design and share important ranking factors like link juice and domain authority between versions. Google Answer Box Optimization Ever since Google’s Hummingbird update, the search engine has been transforming itself from a search engine into an "answer engine." to connect searchers directly to their goals, not just the best websites they suppose are relevant to their queries. One part of this shift has been the Answer Box, officially known as “featured snippets.” Featured snippets are the title and URL of a page, along with the page text Google thinks best answers for the searcher’s question. The Answer Box appears at the top of the SERP. The Answer Box is generated automatically when Google is able to determine that a searcher is looking for a particular piece of information. You can’t opt in (you can opt out by adding the "nosnippet" meta tag to your page) and you can’t decide what text Google uses. The Answer Box isn’t new, but as Google gets better at figuring out search intent, it’s becoming more frequent. Unfortunately, since feature snippets are generated by Google automatically, you can’t really determine what content it chooses to feature. You can, however, optimize your pages in a way that will make getting featured more likely. And since, thanks to Hummingbird and Rank Brain, Google is getting better connecting searchers to answers, Answer Box optimization is absolutely something you should be doing in 2017. Optimizing for Search Intent Hummingbird and Rank Brain have transformed the way Google interprets search queries and determines keyword relevance. That means choosing keywords mainly capture searchers intent.You still need to optimize your pages and content around keywords. We can optimize our content into 3 types as below. Complete an action type searchers who are surfing with a goal to complete their requirement and are looking for the specific relevant landing page. If they don’t come across it they will bounce off our site. Finding Information is the one who won’t complete an action in beginning but there are greater chances of goal conversions. To capture these searchers the use of phrases like "what is", “do I need”, “how to” and “where to find” are more in their queries. We can target them for our campaigns. The users who are researching products are the one who are looking for something but they don’t know particularly which one, or how to decide.The most suitable phrases to target these searchers are "top 10", “reviews”, “deals” and “product guides” in queries that will make their decision-making process simpler and easier. Mobile Applications Indexing According to the Statista prediction the mobile apps market need to grow 268.69 billion in 2017, a growth of 20 percent.Yes, the top mobile application development companies in India are focusing not only on mobile apps development but also on the promotion too as per the SEO strategies. Initiating from the HTTP URLs to google search console validation tracks its performance in search results. To get the monetary benefits from the app market and you rely on the organic traffic it will assist you to create more integrated, cross-channel experience for your users. Google can suggest links to your android/ios apps to review it. This only works for indexed apps on Android devices, but the potential in terms of traffic and engagement is huge. Browse our end to end digital marketing services to augment your revenue stream! The term Search Engine Optimization is self explanatory and it adds lot of values to the individuals, startups, SMEs and enterprise businesses. It has already gained more than enough importance in itself. It’s advisable to have knowledge of latest dates from SEO point of view in 2016. The Approaches to keep a business on top of a search in this competitive digital world has been changed. The technologies and strategies that we were using earlier may not be beneficial in coming days. One cannot rely on traditional SEO only . Search engines changes their algorithms at regular intervals. So, one must remained aware about these changes, even it is not the requirement from the client end, but if we align and implement the same. The end result may exceed the client’s expectation. The years from 2011 to 2014 were highly known as a years of penalties. where Google focused more on removing the spam content from it database, many of us may have experienced the implications on business ranking on search engine.As a result, the activities of spanning were declined drastically in year 2014 to 2015. In 2015, Google has came up with Mobilegeddon & Rank Brains, two new algorithm discourage the spammy & useless contents. Here we can consider Rank Brain as an enhanced version of Hummingbird. If we have contextual branding content then paid & professional search engine optimization services can be very useful to get the maximum mileage out of it. It will indirectly affect the SEO ranking in positive direction. “Content is the King” - Quality content means more popularity. After the Google’s hummingbird update, everyone has started their focus on content quality because quality content may give more popularity & more popularity may give better coverage based on the new criteria of algorithm.. Represent and promote content in various format, not just text. 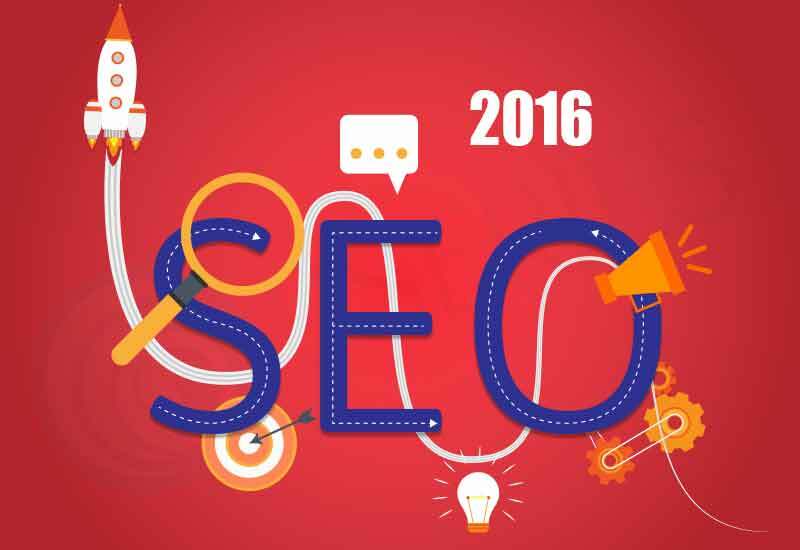 In year ahead, In the coming year 2016, we should call SEO can be seen as a Search Experience Optimization. Feel free to get in touch with us to discuss your requirements from SEO and online marketing point of view.